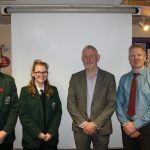 On Friday 23rd November, New-Bridge Integrated College was delighted to welcome Professor Kevin Tierney as our first guest speaker for our “Sixth Form LOL’s” (Lessons on Life) talks. Professor Tierney has lectured in Psychology at Trinity College Dublin for over thirty years and is a Senior member of staff within the University. As part of our Enrichment Programme in Sixth Form at New-Bridge Integrated College we have invited a number of guest speakers to visit and present their stories on ‘Life’ to our students. 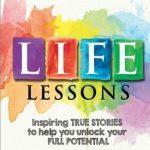 We know that our students will benefit from listening to these inspirational, fascinating and true life stories that can motivate, inspire and broaden our young people’s minds. general, something he appears to have done himself!